If a warning is placed on a product label or posted or distributed at a workplace, a business, or in rental housing, the business issuing the warning is aware or believes that it is exposing individuals to one or more listed chemicals. By law, a warning must be given for listed chemicals unless the exposure is low enough to pose no significant risk of cancer or is significantly below levels observed to cause birth defects or other reproductive harm. 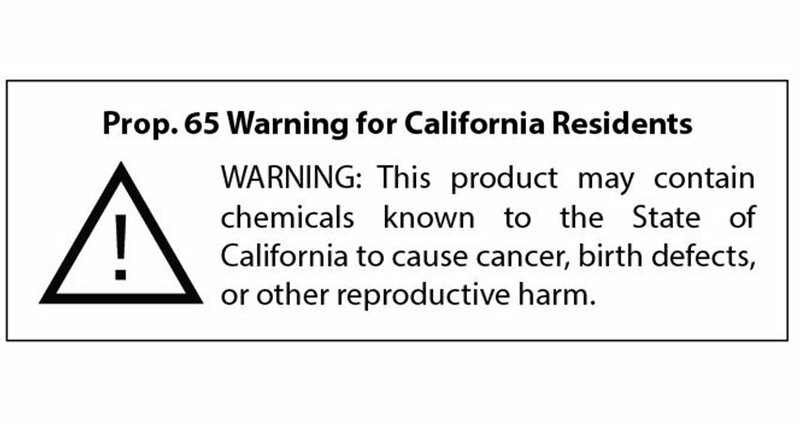 Under the Proposition 65 statute, “known to the state to cause [cancer] [birth defects or other reproductive harm]” means the chemical has been added to the Proposition 65 list by one of four listing mechanisms. Learn more about how chemicals are added to the Proposition 65 list. Lawsuits have been filed by the Attorney General’s Office, district attorneys, consumer advocacy groups, and private citizens and law firms. What are the penalties for violating Proposition 65? Penalties for violating Proposition 65 by failing to provide warnings can be as high as $2,500 per violation per day.